Thomas Pelham-Holles, Duke of Newcastle, was one of the eighteenth century’s great political survivors and served as First Lord of the Treasury through peace and war. Born in Sussex in July 1693, he was the eldest son of Thomas Pelham, first baron Pelham of Laughton, and his second wife, Lady Grace Holles. He was educated at Westminster School and matriculated in 1709 at Clare College, Cambridge, although, like many in this period, he did not take a degree. On his maternal uncle’s death in July 1711, he succeeded to his estates, on condition that he added Holles to his name. His father’s death in February 1712 added to his inheritance, making him a considerable landowner and granting him substantial influence over the election of at least a dozen MPs in his native Sussex, Nottinghamshire and Yorkshire. His strong support for the Whig cause and the Hanoverian succession was rewarded by George I with a series of noble titles, including the Dukedom of Newcastle, previously held by his uncle. During the Whig split of 1717 , Newcastle remained loyal to the Sunderland-Stanhope grouping. He married Lady Henrietta Godolphin in April 1717 and was appointed Lord Chamberlain shortly afterwards. Earlier in that year he had secured the election of his brother, Henry Pelham , as an MP. His long career in public life had begun. Newcastle initially used his skills as a courtier and he build up good relations with George I. However, following Walpole’s ascent to power, Newcastle moved into a more directly political role. 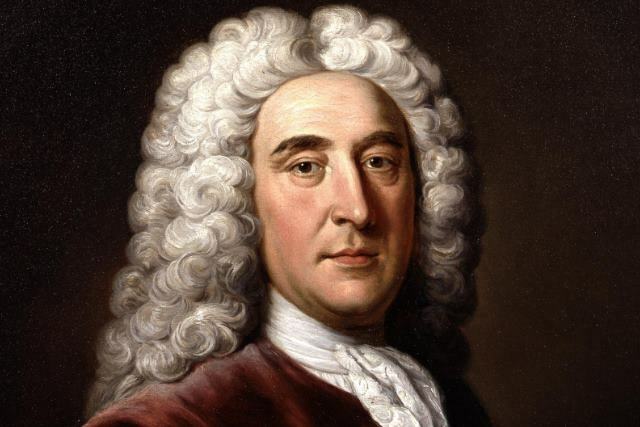 He became Secretary of State for the Southern Department in 1724, becoming (along with his Northern Departmental colleague Viscount Townshend) one of the ministers charged with the direction of British foreign policy. Newcastle served as Townshend’s junior colleague until the latter’s resignation in 1730 made him the senior secretary and second only to Walpole within the administration. Newcastle’s belief in protecting the rulers of the Habsburg Empire and allying with them to prevent French expansion was a persistent feature of his policy. Walpole’s reluctance to be drawn into conflict in 1733 on the Austrian side in the War of the Polish Succession was the first sign of serious tension between him and Newcastle. Newcastle realised more quickly than Walpole the strength of public feeling that led ultimately to the outbreak of war with Spain in 1739, and he was instrumental in directing British policy in the ensuing conflict. He, along with Pelham and Hardwicke, survived Walpole’s fall and had stamped their authority on the ministry by 1746. Newcastle continued his responsibility for foreign affairs with Pelham responsible for domestic policy. The two were often at odds, with frequent tension over Newcastle’s instincts to build foreign alliances involving financial commitments for Britain. Following his brother’s death in 1754, Newcastle was persuaded by the King to become First Lord himself. Events and political miscalculation over the next two and a half years conspired against him. Always anxious about potential rivals, Newcastle was reluctant to give up patronage powers and support the ministry’s leader in the Commons, Henry Fox, sufficiently. His attempts to prevent war in American and Europe failed. The ignominious loss of Minorca to France led Newcastle to resign in November 1756. Yet Newcastle’s retirement from public life was only temporary. He returned as First Lord in June 1757. His management of finances and marshalling of MPs underpinned William Pitt the Elder’s strategic vision as Secretary of State, ultimately leading to British success in the Seven Years War (1756-63). War-weariness and a change of monarch created tensions within the ministry and George III’s promotion of John Stuart, Earl of Bute , led first to Pitt’s and then Newcastle’s resignation. Newcastle returned briefly to office as Lord Privy Seal in the Marquess of Rockingham’s first administration. He died in November 1768 at his London residence. Accused by his critics of incompetence, Newcastle’s life shows that balancing royal favour with strong managerial skills could lead to a long, if not entirely successful, political career. Newcastle had extensive government experience in the field of foreign affairs prior to becoming Prime Minister. His first trip to the continent was in 1748 and he used it to find new wines for his cellar.